It’s 50 years since Holland Herald was first taken onboard a KLM aircraft in 1966. This month we celebrate our inflight magazine’s jubilee with a special issue, in which we look back on 50 years of Holland Herald. 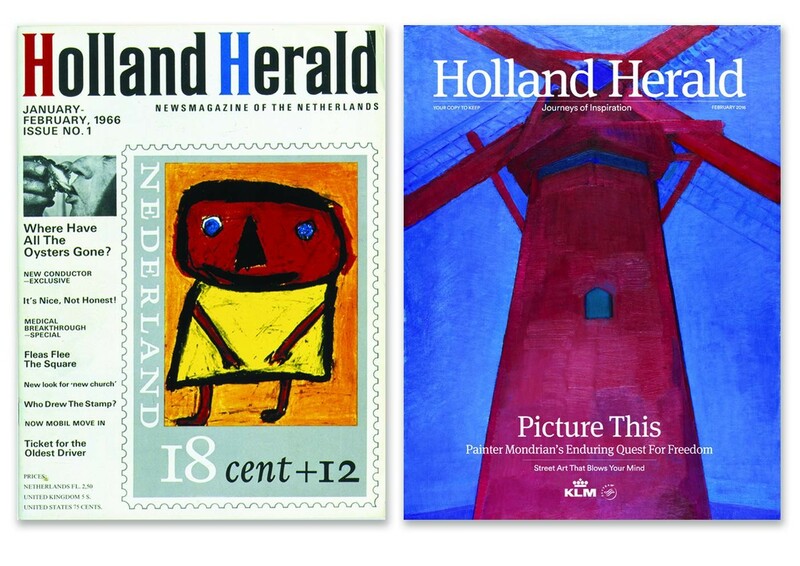 Holland Herald is now the longest running inflight magazine in the world. Holland Herald can boast a splendid past. In the February issue, a number of former editors will reflect on their time at Holland Herald. The magazine has undergone huge changes since 1966, from primarily back-and-white beginnings, mainly concerned with promoting the Netherlands, to the full-colour, internationally oriented glossy it is today. At the end of the 1970s, Holland Herald began to take a broader outlook, shifting its focus from the largely national to the international. It’s hard to imagine KLM aircraft without the Holland Herald onboard. More than 150 different inflight magazines are published worldwide and Holland Herald, with 594 issues to its name, is the oldest. KLM’s inflight magazine Holland Herald is published every month on a surprising theme, accompanied by articles that take a creative approach to travel, lifestyle, gadgets and interesting facts and figures. The Netherlands’ cultural diary, descriptions of KLM destinations and a catalogue of tax-fee products are published every month. Holland Herald is not only the oldest inflight magazine in the world, it is also the largest English-language magazine in the Netherlands and is published by G+J Media. The February issue (the special jubilee edition) will be onboard KLM flights from today. More information about Holland Herald’s golden jubilee is available on the KLM blog and at www.holland-herald.com, where the latest issue is also available to read.